If your family is anything like mine, you’ll know what I mean when I say a beach outing can leave you exhausted. The checklist of items we lug through the sand usually includes everything but the kitchen sink. Beach chairs. Tent. Cooler–packed to the brim. Towels. Radio. You get the idea. 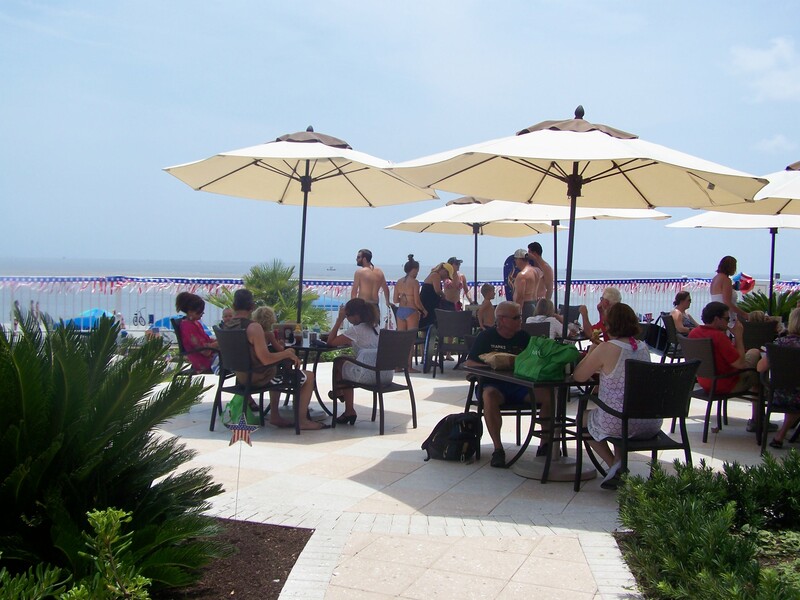 Thanks to The King and Prince Beach & Golf Resort however, and their recently opened Ocean Terrace Grille, our load will be a little lighter this summer because we’ll be leaving the lunch fixings at home. 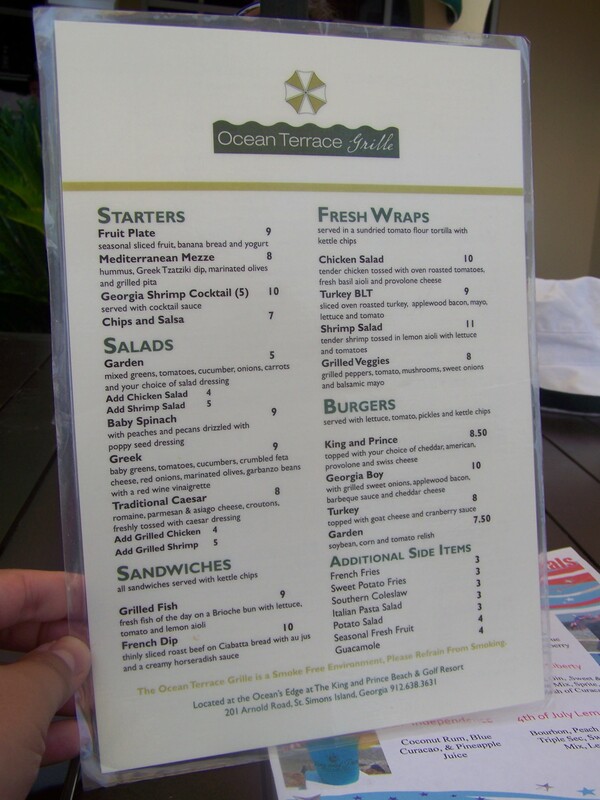 Conveniently located on the ocean’s edge, Ocean Terrace Grille is open to the public. 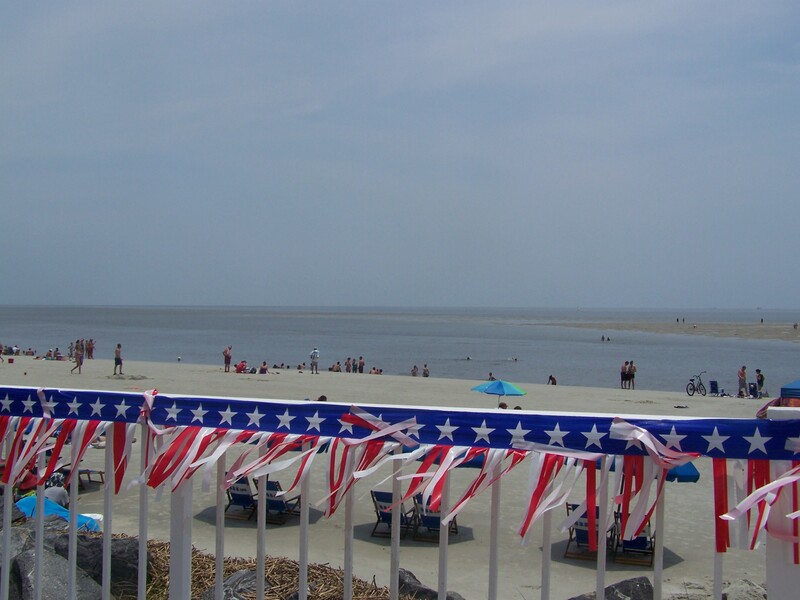 While visiting St. Simons Island in the Golden Isles of Georgia, you can walk over from any location on East beach, just as you are, to enjoy the ocean breeze, have a cocktail or one of Chef Jeff’s scrumptious creations. Like the atmosphere, the menu is casual featuring salads, sandwiches, fresh wraps and burgers. The prices range from $5 for a classic garden salad to $11 for a shrimp salad wrap. Nothing beats a properly garnished cocktail, especially on a hot day in Georgia at the beach. The full bar has an impressive selection of frozen and specialty cocktails as well as beer and wine. 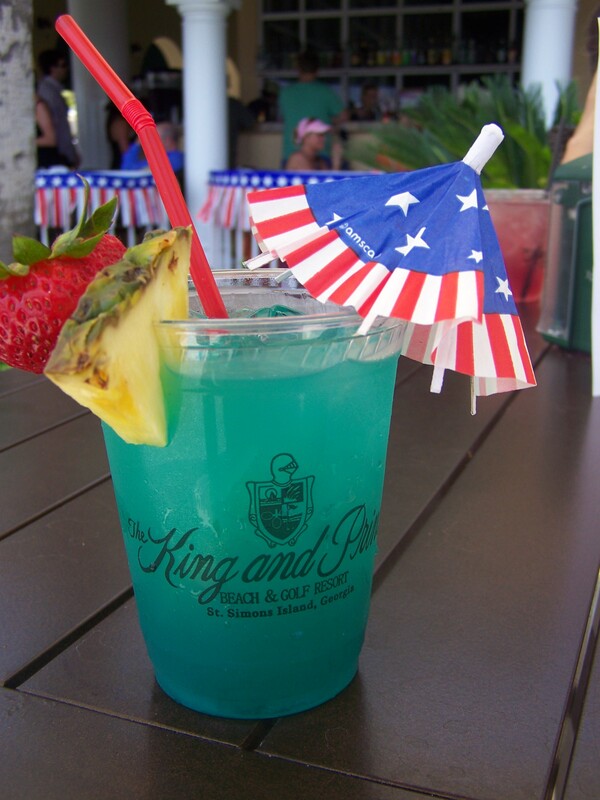 We visited on July 4th, and the K&P Independence specialty cocktail with coconut rum, Blue Curacao and pineapple juice was a fine way to celebrate our nation’s independence. Beautiful job, bartender. We ordered chips and salsa for an appetizer at $7. 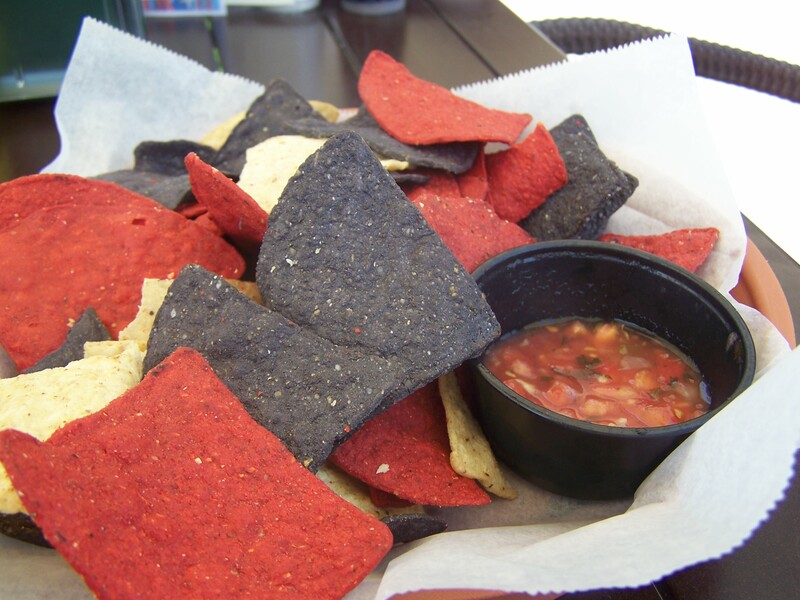 The tri-colored chips were served with the best and most refreshing salsa I’ve ever tasted. A little cilantro, diced tomatoes and onion along with something fruity (mango maybe?) definitely made my taste buds say wow! The service also was timely and hospitable. I ordered the Grilled Fish Sandwich, blackened, on a Brioche bun with lettuce, tomato and lemon aioli. 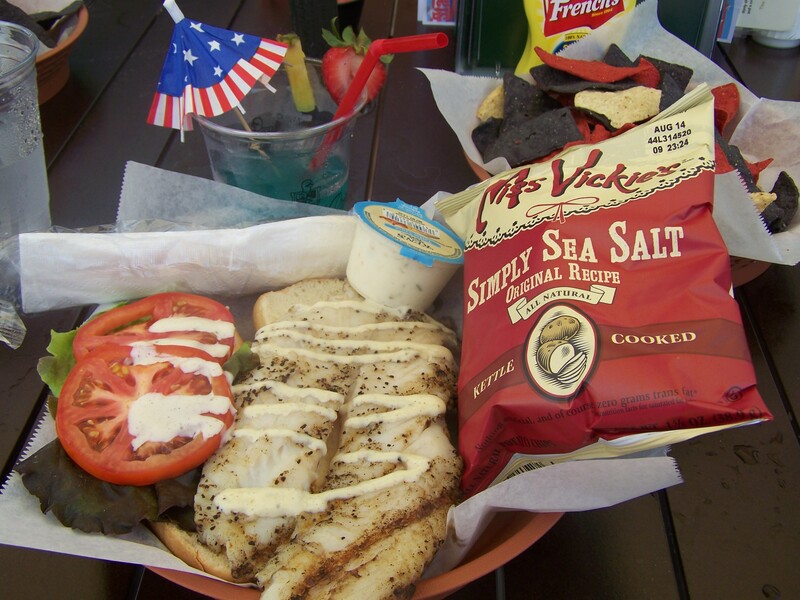 Served with kettle chips, the sandwich showcases the catch of the day–on that day it was grouper: flaky, white, moist and fork-tender. Just look at those gorgeous grill marks! You do not have to be a guest of The King and Prince to enjoy lunch or dinner at Ocean Terrace Grille. It is the island’s only alfresco oceanside dining establishment and everyone is welcomed and encouraged to come and experience it. Weather permitting, the Grille opens daily at 11 a.m. Breathtaking views of the Atlantic ocean, seagulls flying overhead and sounds of crashing waves will keep you coming back again and again. Sorry sandwich meat, on my next beach trip, you’ll be staying in the fridge. Hey Kathryn! Thank you so much. I’m so glad you stopped by and left a comment. 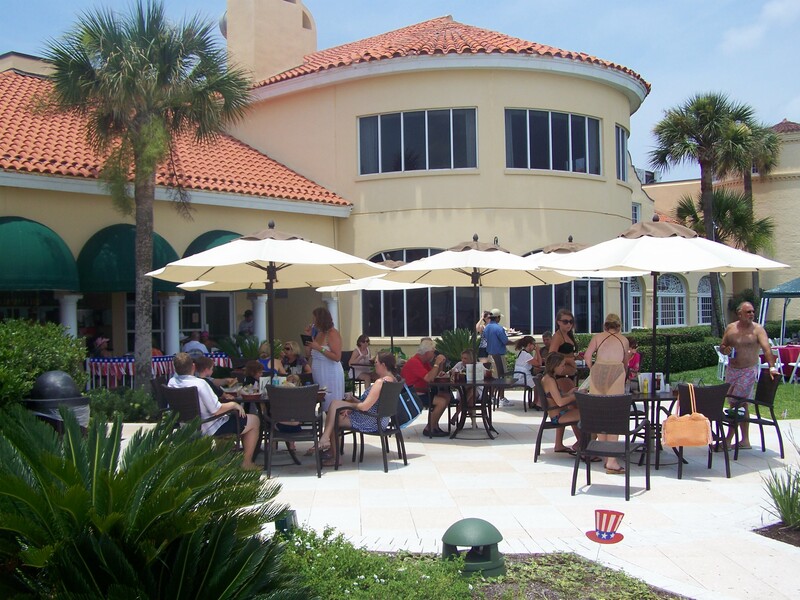 Let me know what you think of Ocean Terrace Grille, you won’t be disappointed! That was a delightful place to eat on a hot summer day. The drinks were fabulous as was the chips and salsa. !